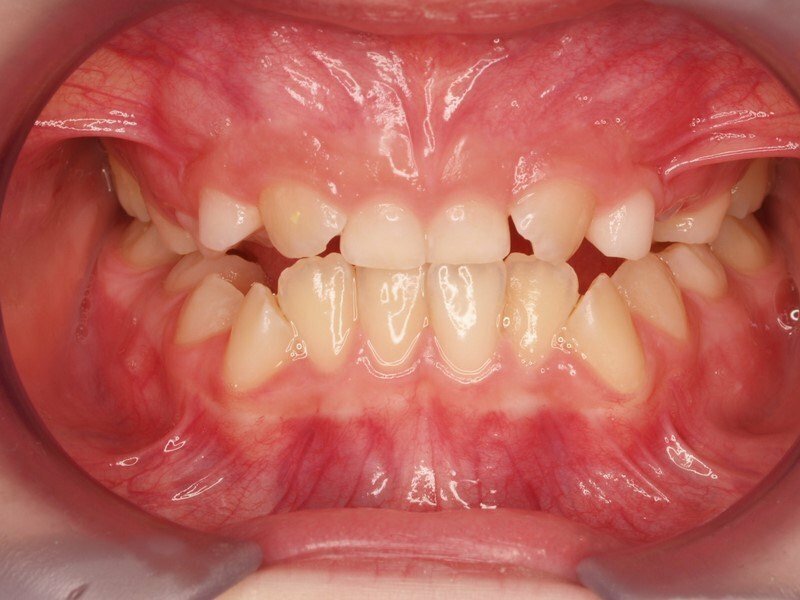 Clinical Cases – Dental Infantil Navarro Soto Clinic, Murcia. 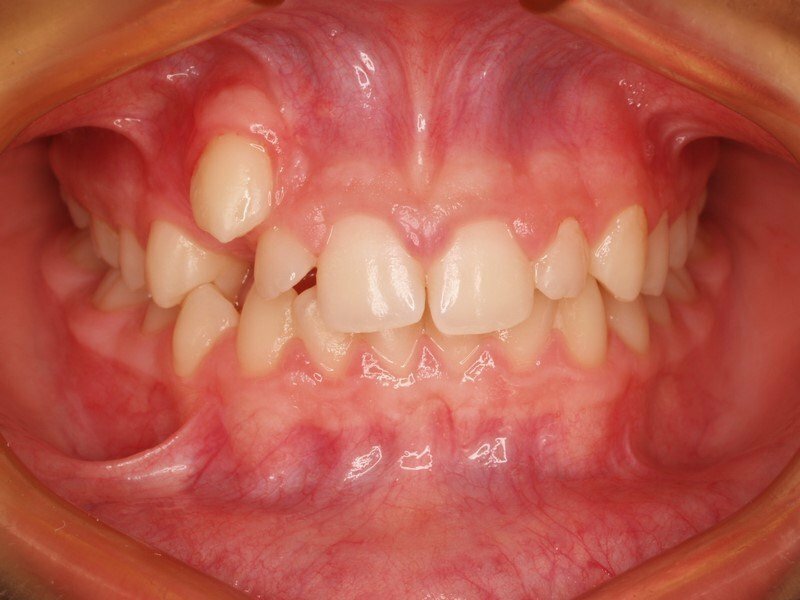 8 year-old boy with delayed eruption of the two upper central incisors and severe lack of space. 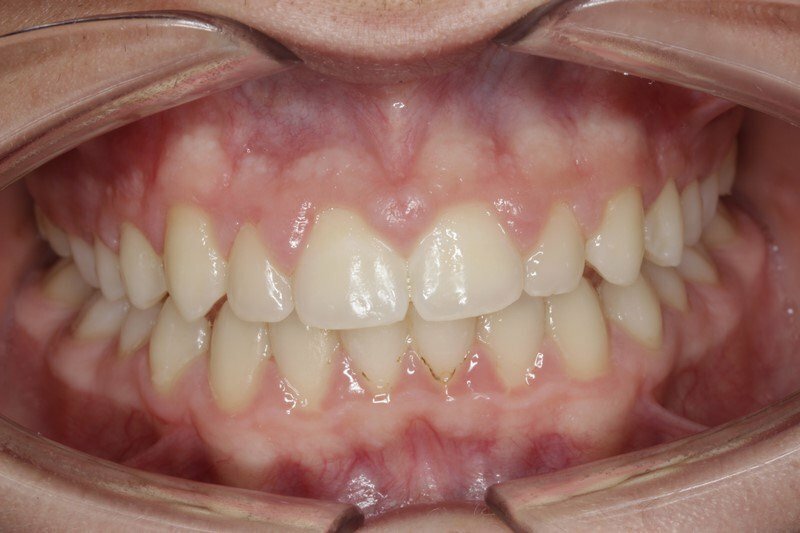 He was treated with fixed orthodontic appliances for 10 months. 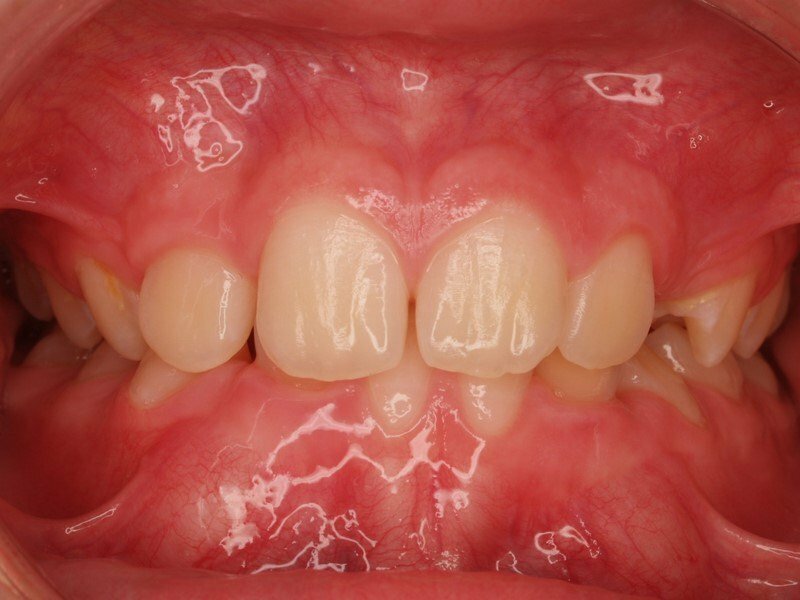 11 year-old patient diagnosed with severe mandibular prognathism, anterior and posterior cross bite and severe upper crowding. 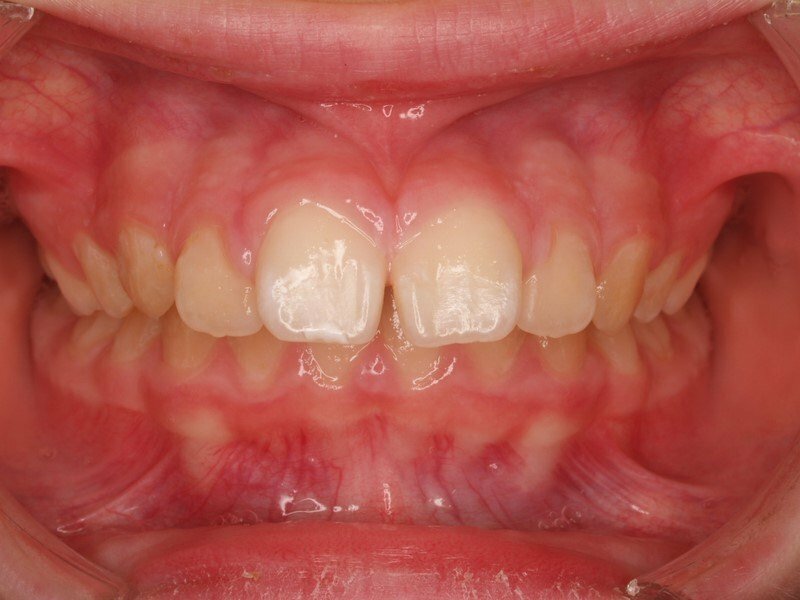 The treatment was performed with self-ligating orthodontic brackets. 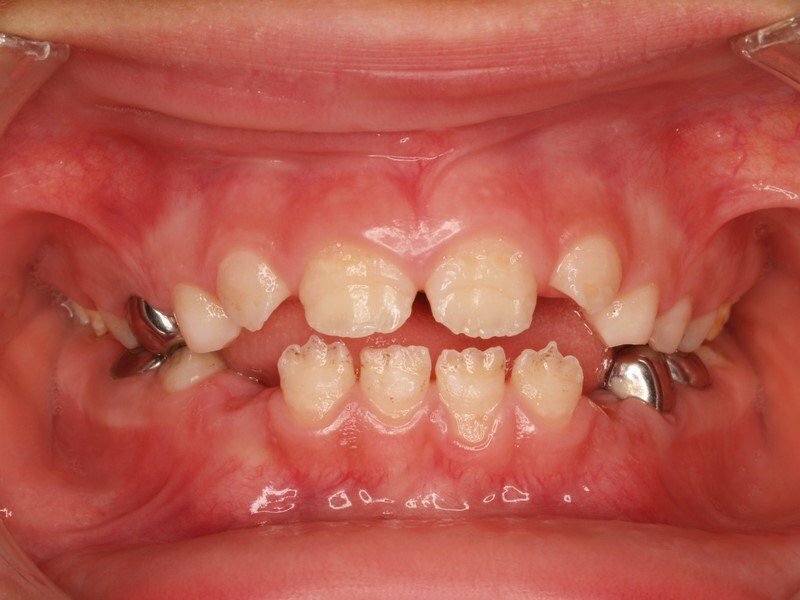 8 year-old patient suffers fall in school with significant coronary loss in both upper central incisors. 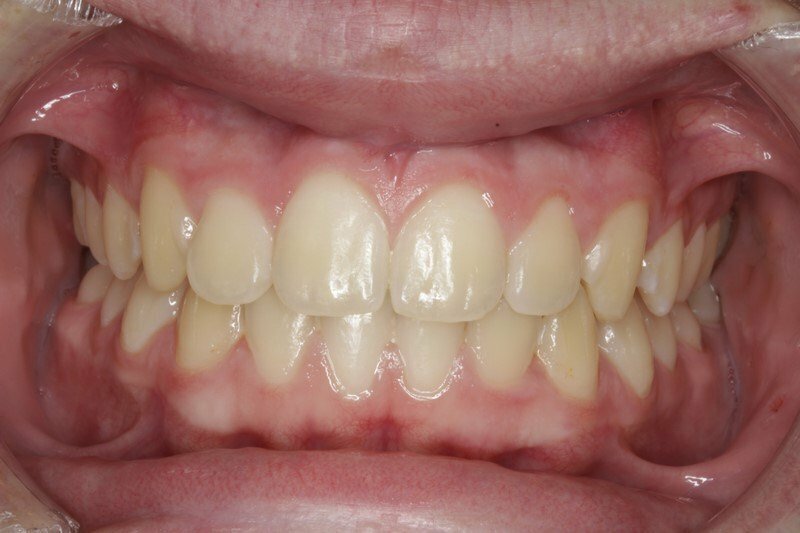 Treatment and aesthetic reconstructions were performed in a single visit. 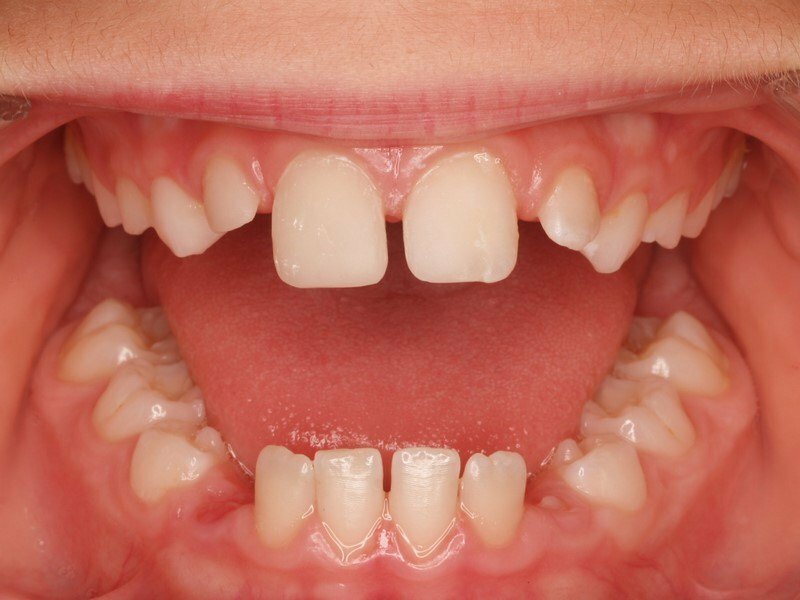 8 year-old girl with delayed eruption of permanent maxillary central incisors by the presence of two supernumerary teeth included. 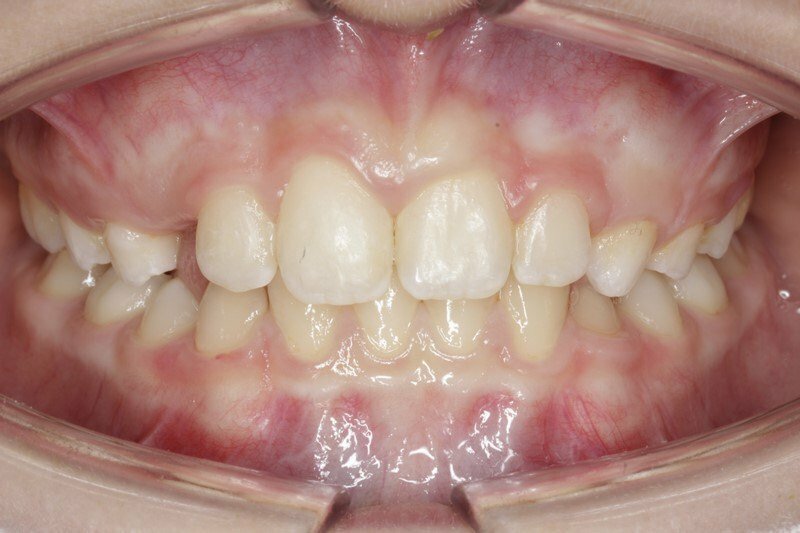 She received fenestration treatment of the two upper central incisors and the insertion of fixed appliances with self-ligating Carriere brackets for 26 months. 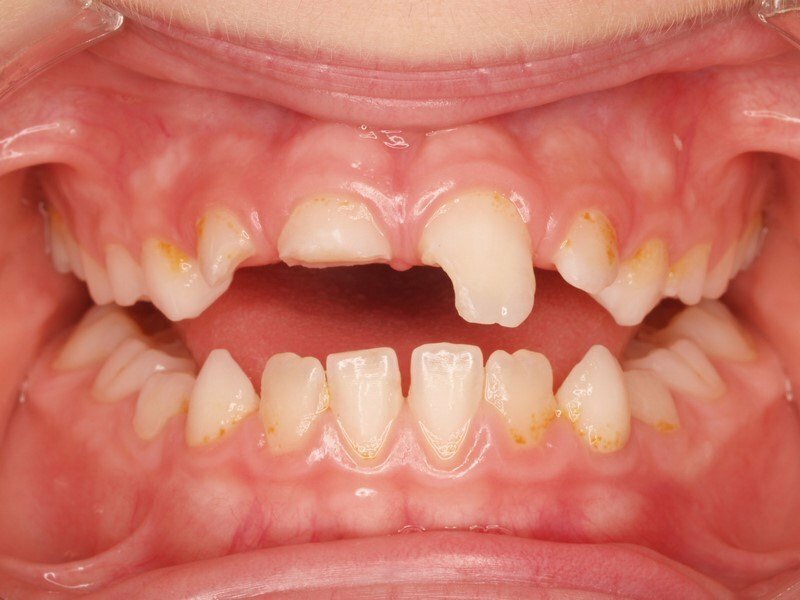 9 year-old patient with severe enamel hypoplasia of vitamin deficiency in childhood that affects all his teeth. 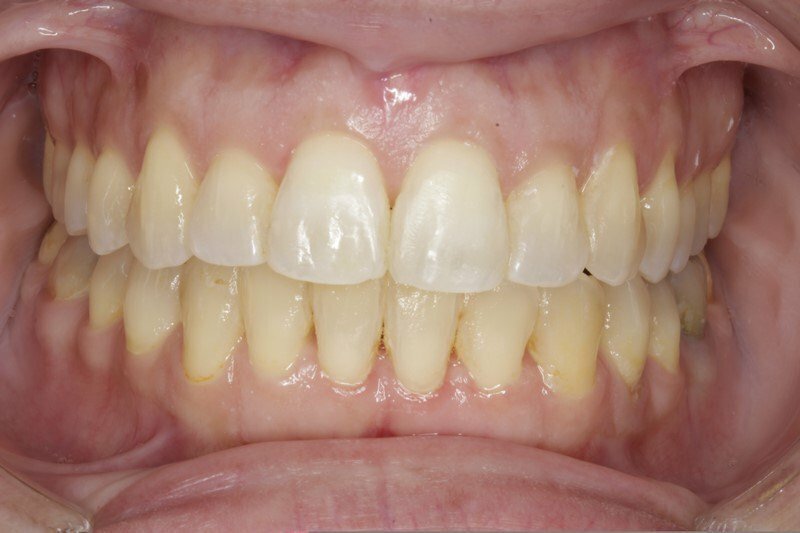 He received veneers in his 4 upper and 4 lower incisors. 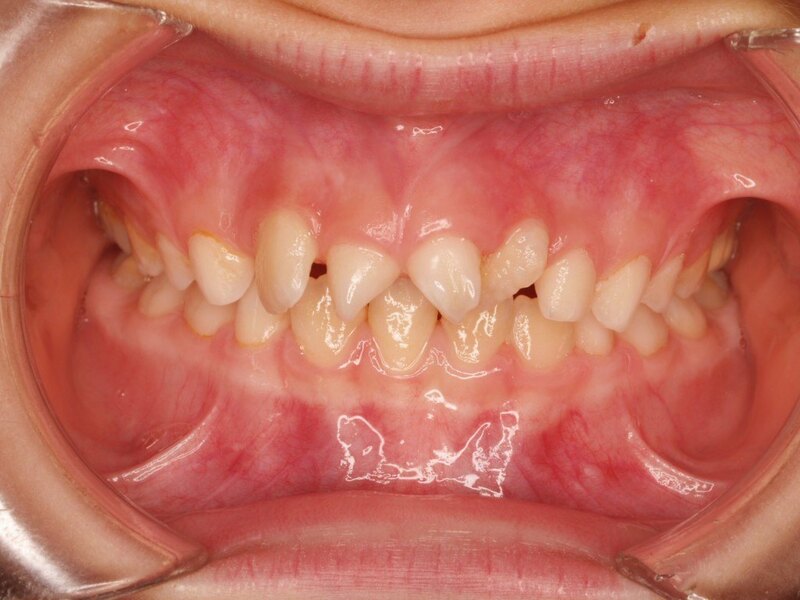 12 year-old girl with agenesis or lack of eruption of the two upper lateral incisors. 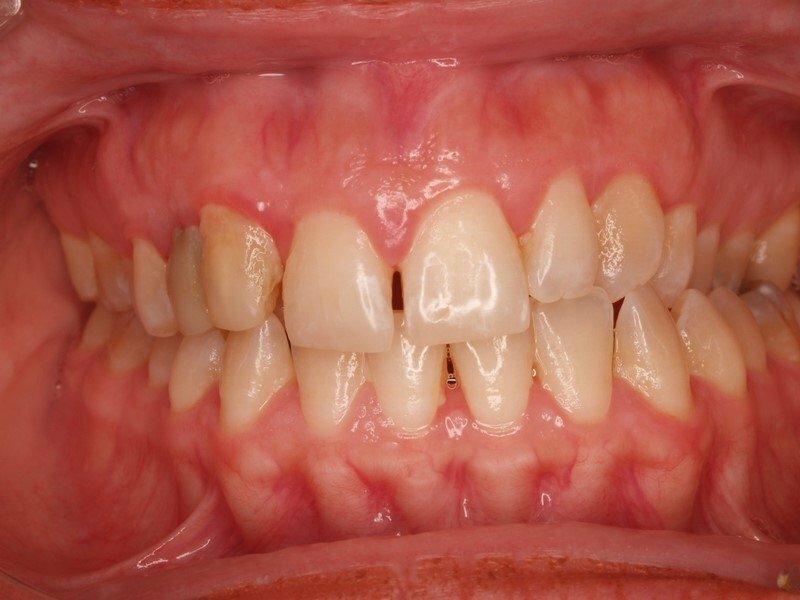 She was treated with self-ligating orthodontic brackets and aesthetic reconstructions in the two permanent upper canines. The duration of the incident was 20 months. 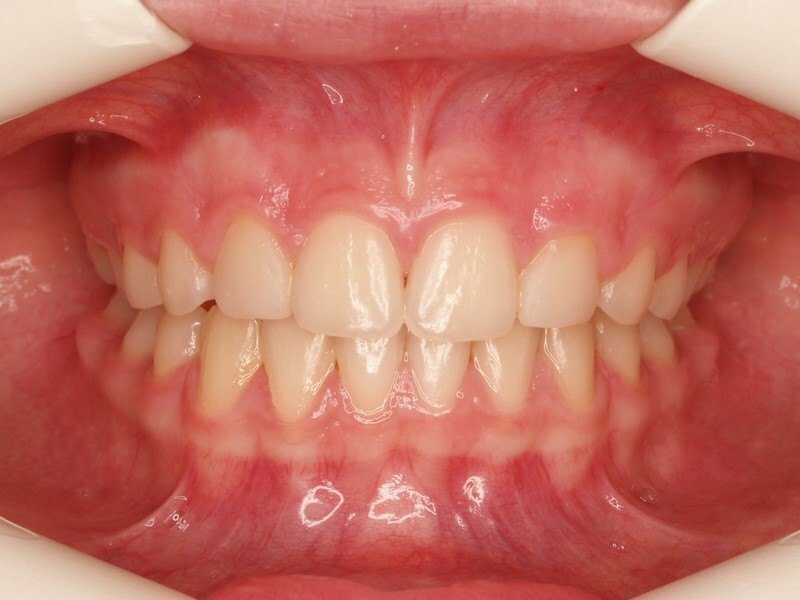 Patient with 20 years worried about the position of the upper central incisors and upper canines. 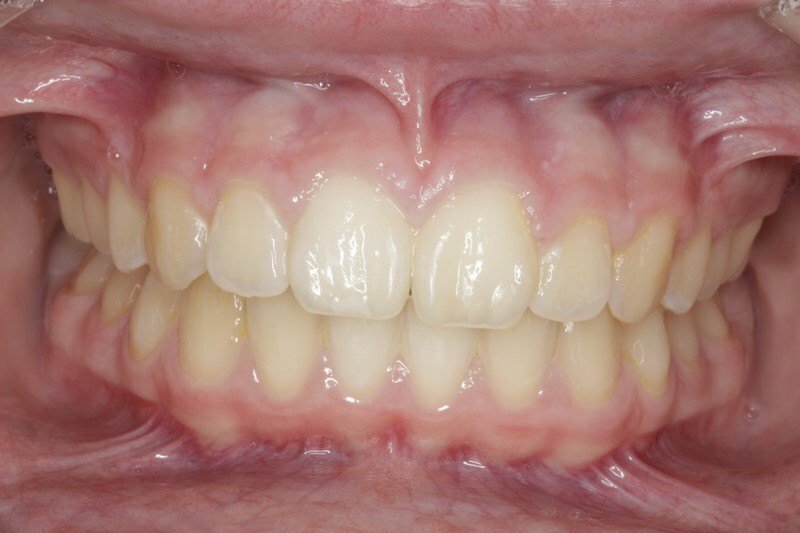 She was treated with self-ligating orthodontic Carriere brackets fixed for 20 months. 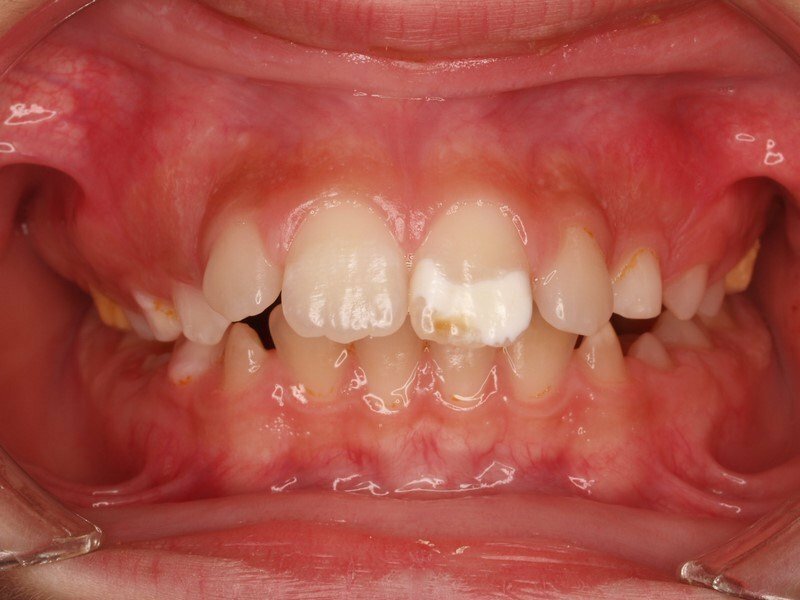 Patient with autism who has severe overjet and endogenous enamel stains on the upper central incisors. 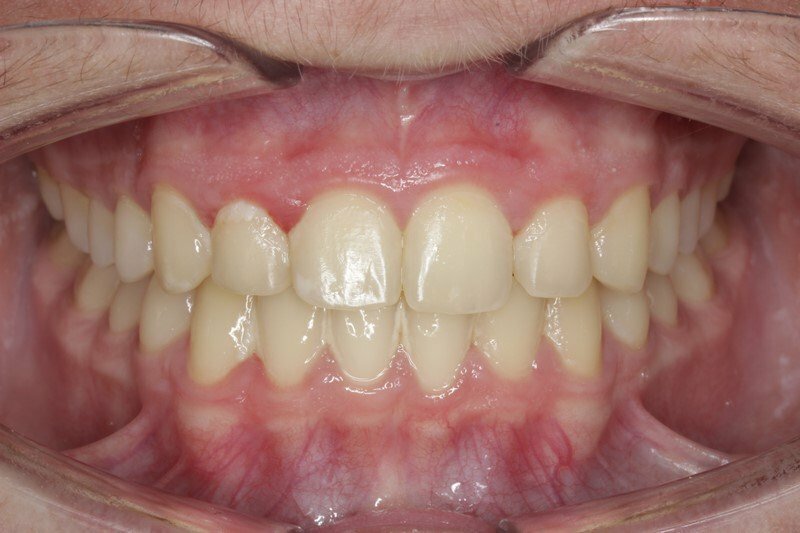 He received treatment of functional appliances and fixed orthodontics and aesthetic reconstructions in his upper central incisors. The patient showed high cooperation. 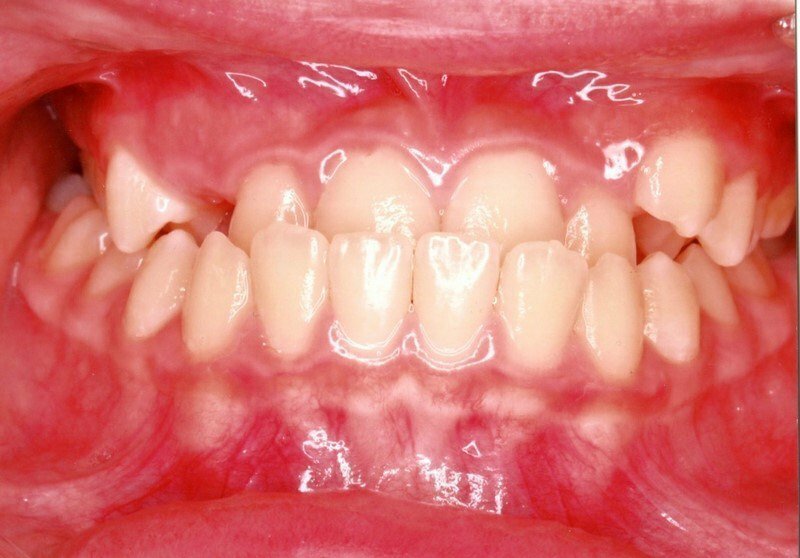 19 year-old patient concerned about the lack of his upper right canine, which is included. In addition, he had initially a temporary crown in the next place, the place of 12. 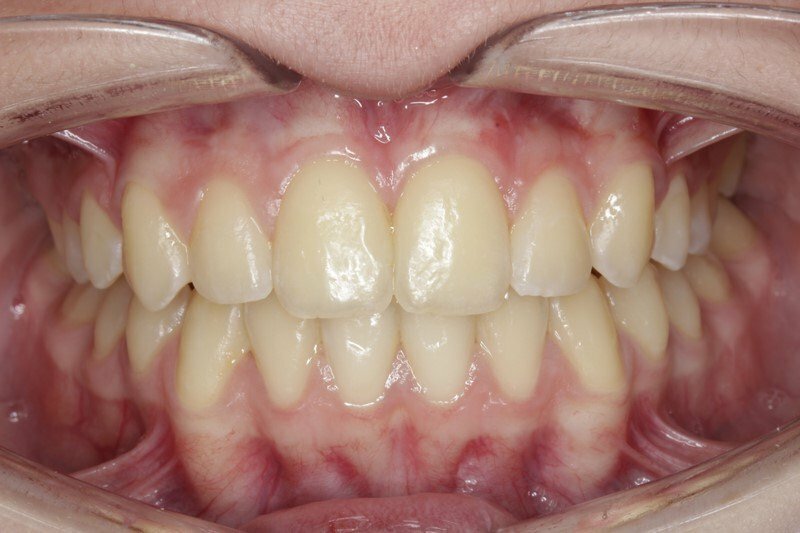 He received fenestration treatment of the included canine and maxillary expansion with aesthetic orthodontic appliances fixed for a period of 22 months. 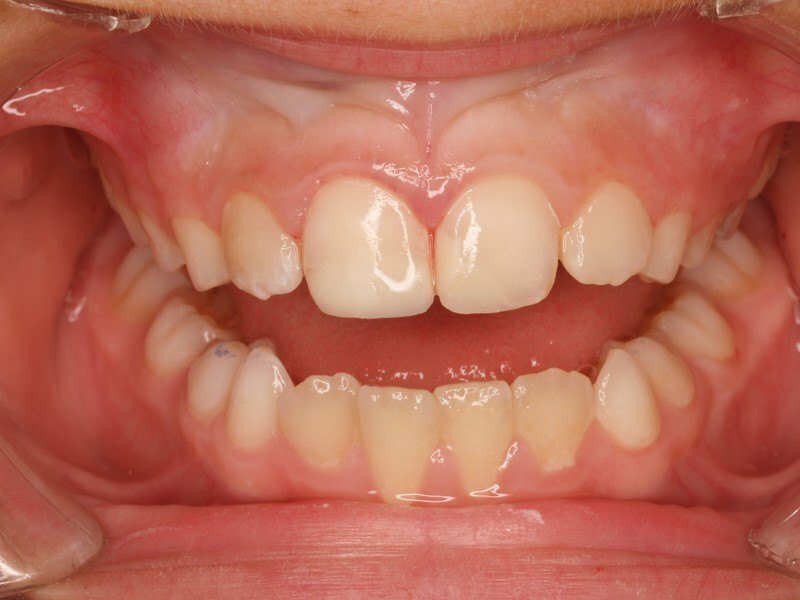 13 year-old patient with a diagnosis of mandibular prognathism with anterior crossbite and severe lack of space. 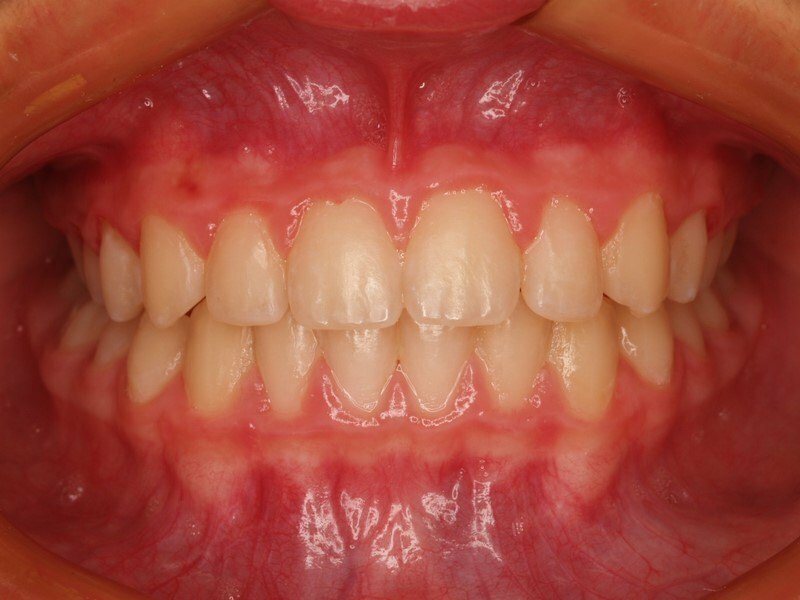 She was treated with self-ligating orthodontic brackets fixed for a period of 18 months. 7 year-old boy who got a trauma by an elbow in school. 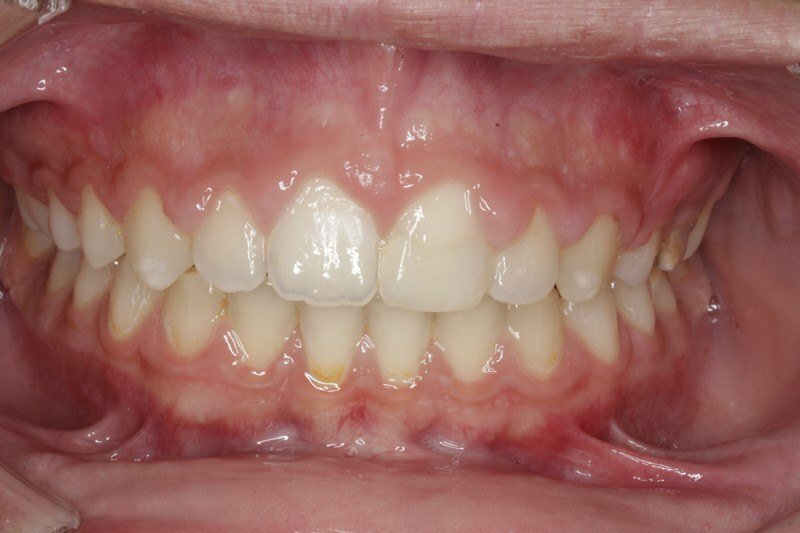 He received esthetic restorative treatment of the maxillary central incisor, pulp treatment and highly esthetic composite reconstruction in the upper right incisor. 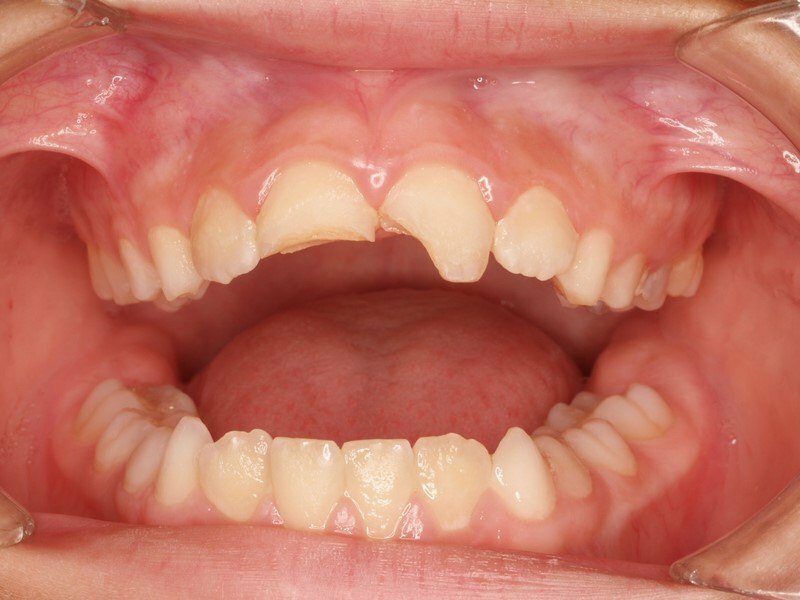 12 year-old girl with severe upper jaw proquelia crowding and midline deviation. 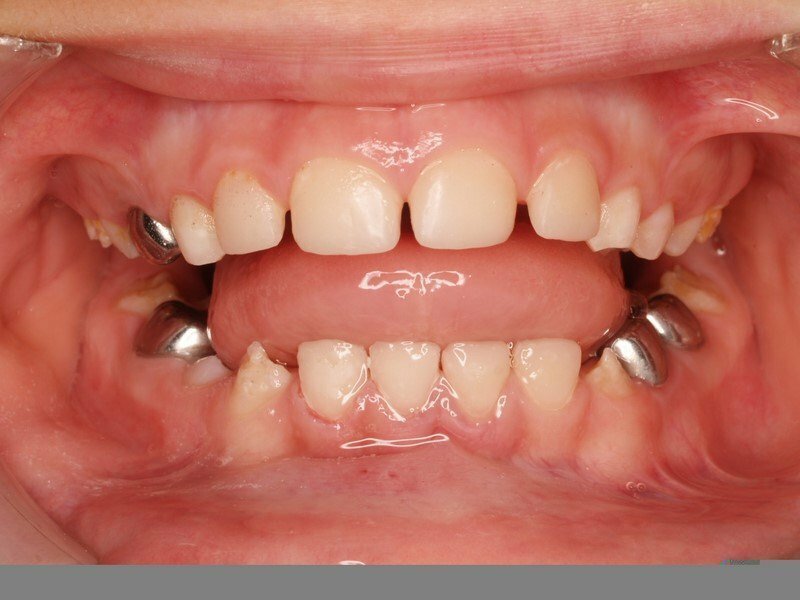 She received corrective treatment of her malocclusion with fixed orthodontic appliances by self-ligating Carriere brackets. 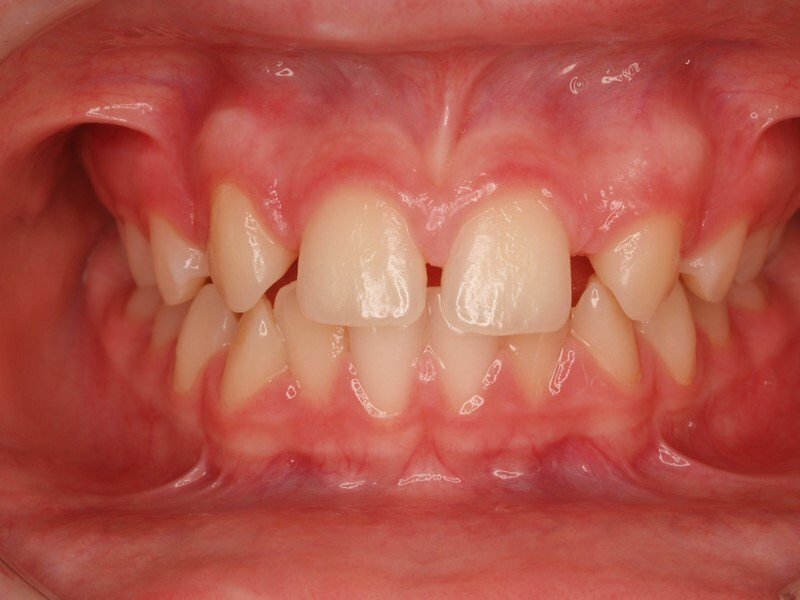 Patient with 12 years diagnosed with moderate mental retardation, severe overbite and patches of enamel on the upper central incisors. 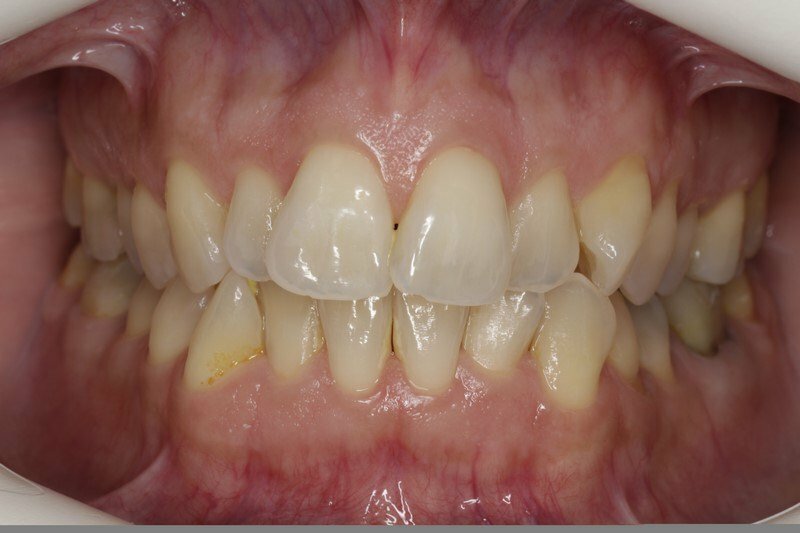 He was treated by orthodontic appliances fixed for 20 months and with aesthetic reconstructions of the upper central incisors. 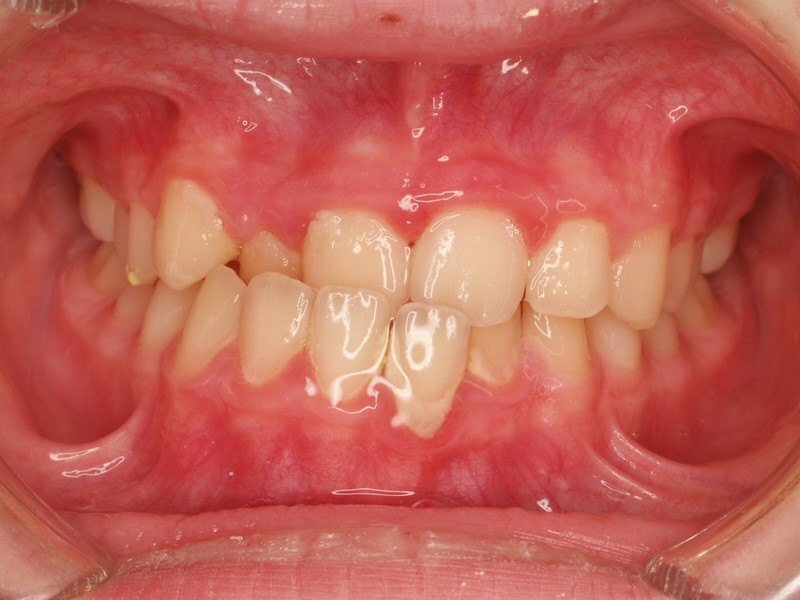 12 year-old boy missing necessary space for the eruption of the two upper permanent canine. 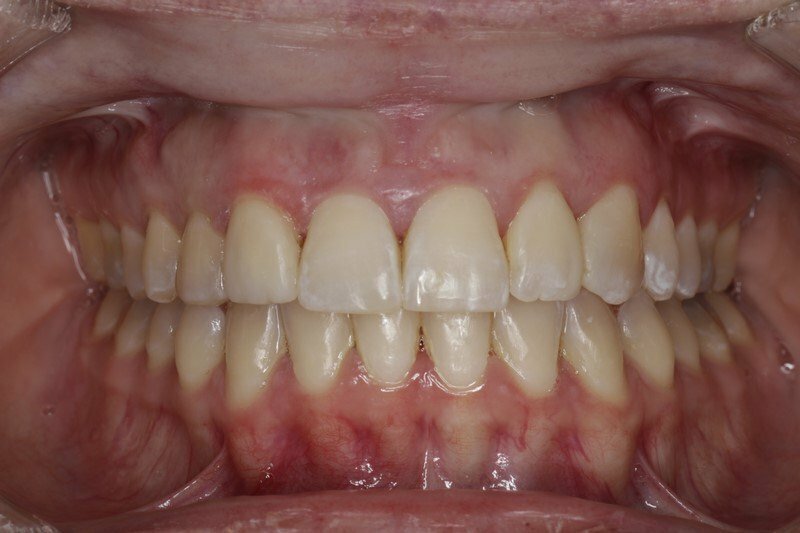 He was treated for maxillary expansion and correction of his malocclusion by self-ligating Damon brackets.